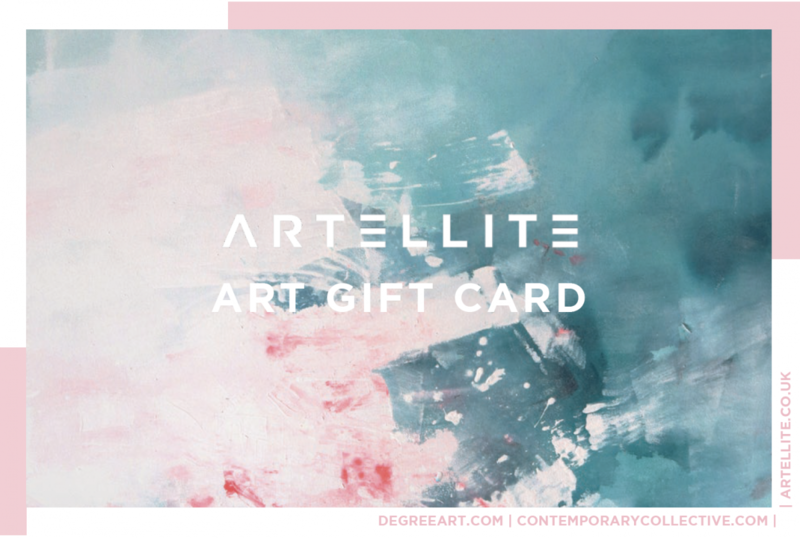 Give the gift of art with our Art Gift Vouchers. They can be used online, at the gallery or at art fairs on our stands from £25. They can be redeemed in full or as part payment towards pieces on DegreeArt.com or ContemporaryCollective.com website. Choose the amount you’d like to give, add your message, list your shipping address and the Gift Voucher will be posted to the recipient, ready for them to spend on their art collection. If you would like an email voucher to send to the recipient this can also be arranged.